All the apps & games here are for home or personal use only. If any apk download infringes your copyright, please contact us. RedirectCall-call forwarding is the property and trademark from the developer EWolutions - IT Solutions GbR. 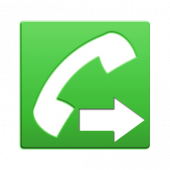 With RedirectCall you can simply activate and deactivate call forwarding. No matter using the widget or starting the application from the home screen. Simply enter your phone number and then choose the delay for activating the call forwarding. - DIRECTLY CALL PHONE NUMBERS -> The call forwarding is performed via MMI-Codes (the app calls this code). Would you like to use the extended features or want to remove the ads? Then buy "RedirectCall Unlock Key" (PRO-License)! !!!! !Please test the application in your country before you buy the license key!!!! !